The relationships you foster with your donors can have a positive impact on their commitment to your mission and their likelihood to donate during future fundraising campaigns. Sending out timely thank you letters after receiving a donation plays a major role in building these strong, lasting relationships. While personalized letters to your donors are highly meaningful, it takes a lot of time to write and send them. During busy periods like the holiday fundraising season, it can be challenging to keep up with these thank you letters alongside your other activities. Anything you can do to improve the efficiency of your letter writing process (while still maintaining a personal touch) will help to ensure the success of your current and future fundraising efforts. Here are nine tips to help nonprofit organizations write and send great donor thank you letters. During busy fundraising seasons, your team can quickly become overwhelmed by administrative tasks. This makes it impractical to write and send each thank you letter manually. Thankfully, you can streamline this process from start to finish with the tools in a CRM designed for nonprofits. A good CRM system not only helps you organize your donor and donation data, but it can also automate the process of sending a thank you letter to each donor. As a result, you’ll save time and effort without compromising on the quality of your donor communications. In an age of instant gratification, it’s important to send your thank you letters within 48 hours of receiving donations. This quick turnaround time ensures that your donors feel their contributions were acknowledged and appreciated by your nonprofit. Rapid responses also demonstrate that your organization intends to use the funds promptly. In the end, when you mind the time in sending out your thank you letters, you keep your donors engaged with your nonprofit and its mission to help. Upon receiving a donation, the clock quickly starts ticking down, demanding that you act fast in sending out your letter. To make sure you stay within the optimal window, set reminders to keep you on track. This is another great opportunity to make use of your CRM: as soon as you log a donation, schedule a related task to send the thank you letter. You can then refer back to your to-do list at convenient points during the day. This system will help you create and send your thank you letters well within the 48-hour period. As you diversify your fundraising efforts, avoid sending generic “thank you for your donation” letters to all donors. Instead, your thank you letters should always refer to the specific initiative supported or event attended. These detailed letters will remind your donors of their personal involvement in your community. As part of this process, make sure to also highlight the impact that each donor will have on your organization’s work. You can do so by explaining how the money will be used to directly fulfill the mission of the specific fundraising campaign. As the fundraising season ramps up, your team will have little time left in the day for crafting and sending the engaging letters described above. Streamline the process and make sure everything gets done in a timely manner by creating reusable thank you letter templates. You’ll want to create a template for each fundraising campaign and event you run. 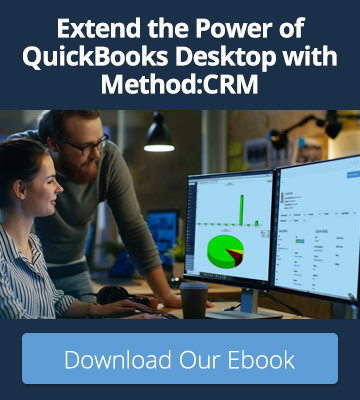 Download and modify free templates available online or build on those available in your CRM system. As time goes on, you can work even more efficiently by basing new templates off of old ones. When you use templates to create your thank you letters, it’s important to personalize each letter with the donor’s name. Include details about their donation as well, especially if you can describe the impact the donation will have on your nonprofit’s operations. 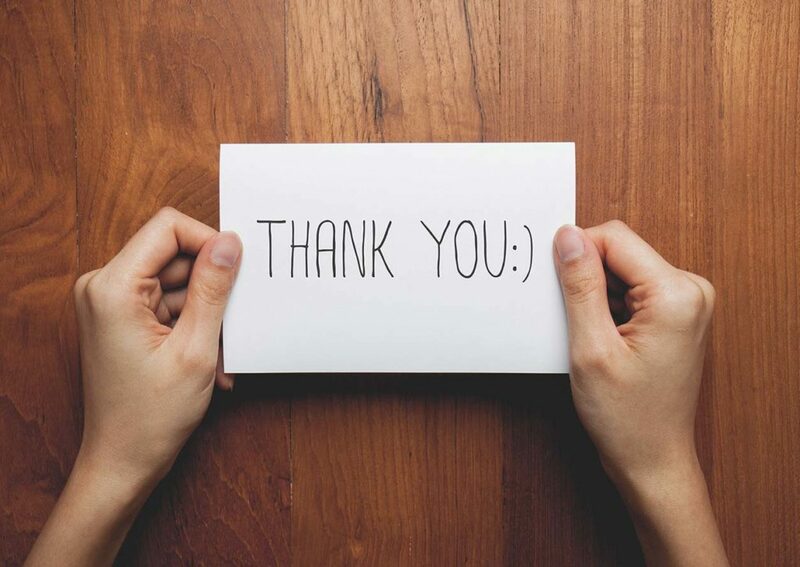 When you include these personal touches in your thank you letters, your donors feel more connected to your mission and more invested in the results you achieve with your fundraising campaigns. The way your donors interact with your nonprofit offers key information that you can incorporate into your fundraising strategy. Beyond name and donation amount, personalize your thank you letters further by referencing individual donor history. You might personally thank new donors for taking an interest in your mission, for example, or applaud existing donors for their long track record of support. The key is to track as much donor data as possible using your CRM or favorite spreadsheet program. These details can strengthen the success of your fundraising campaigns by helping you speak directly to your donors. Since you need to send tax receipts anyway, make them an integral part of your thank you letter process. Within your thank you letter template, include a message to explain that the donation is tax deductible (if applicable). Then, use the automation tools in your CRM to print or email your letters and tax receipts simultaneously. Your donors will appreciate the streamlined correspondence, especially if they’re in the habit of making regular donations. It costs more to attract new donors than retain existing ones — so don’t let your generous supporters lose interest in your mission. Your thank you letters should always encourage ongoing engagement with your nonprofit. Within each template, include an invitation to attend an event, follow your social media channels, or support an upcoming fundraiser. You can also encourage donors to share these invitations with family and friends to increase awareness and support for your nonprofit. Your donors will be more likely to support your future fundraising campaigns if you acknowledge their current support. If you’re struggling to keep up with sending thank you letters, consider adopting some of the tips described above. In particular, using a CRM designed for nonprofits can help with many aspects of preparing these letters, from templates to timing to tax receipts. By sending heartfelt notes of gratitude in a timely manner, you’ll strengthen the bonds between your nonprofit and its donors for years to come. 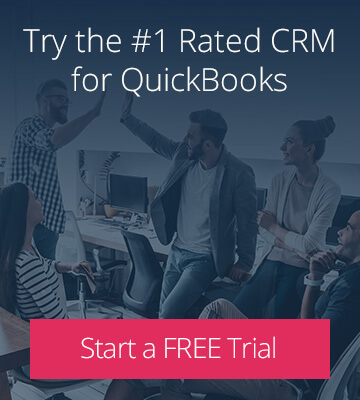 Ready to get started with a nonprofit CRM?